When it comes to cloud, the big just keep getting bigger, with the four largest cloud vendors on the planet pulling away from the rest of the pack. 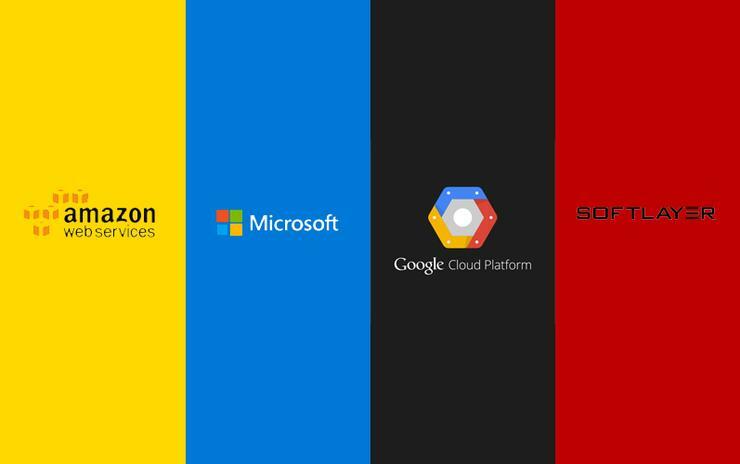 The latest figures by Synergy Research Group suggest that the world’s four leading cloud providers, Amazon Web Services (AWS), Microsoft, IBM and Google, respectively, continue to either maintain or grow their share of the global cloud infrastructure market. According to the market intelligence and analytics firm, Microsoft grew its market share in the cloud market during the second quarter by three per cent, claiming 11 per cent of the global market, compared to the same period the year prior. Likewise, Google grew by one percentage point, to claim five per cent of the global market. Unsurprisingly, AWS remained the dominant player in the sector, increasing its market share by one per cent to claim 34 per cent of the global cloud market. At the same time, IBM held its global market share steady at eight per cent. The next 10 top-ranked cloud providers collectively lost one per cent of market share year-on-year for the period, according to findings. Two companies included in with the next 10, Alibaba Cloud and Oracle, achieved the highest growth rates in the quarter. It seems Alibaba Cloud and Oracle might be exception to the rule however, with Synergy suggesting that, in line with continuing recent trends, it is the lower ranked-sized cloud providers that, in aggregate, are losing share to the market leaders. Synergy estimated that quarterly cloud infrastructure service revenues, including IaaS, PaaS and hosted private cloud services, continue to grow at more than 40 per cent per year, and have now reached almost US$11 billion. Meanwhile, there is some variance in dominance when the different types of cloud offering is broken down into subcategories. For instance, while AWS, Microsoft and Google are the lead providers in IaaS and PaaS, IBM continues to lead in hosted private cloud. Hosted private cloud is also an area where Rackspace and a few traditional IT service providers also feature more prominently than they do in the public cloud space, according to Synergy. It should be noted that Alibaba Cloud has now become the fourth-ranked provider in IaaS, Synergy said, due in part to strong growth in its home Chinese market, but also helped by aggressive expansion internationally. Synergy’s latest research comes as fellow analyst firm, Canalys, suggests that the global cloud infrastructure services market grew by 47 per cent year-on-year in the second quarter, to reach US$14 billion. Mirroring Synergy’s findings, Canalys pointed out that AWS remained the dominant cloud services provider, growing by 42 per cent on an annual basis, and accounting for more than 30 per cent of total cloud spend globally. However, AWS’ growth rate was lower than those of its closest rivals, Microsoft, which saw 97 per cent growth, and Google, claiming 92 per cent growth, but higher than fourth-placed IBM, which saw 23 per cent growth. Overall, the top four cloud service providers represented 55 per cent of the cloud infrastructure services market, which includes IaaS and PaaS, according to Canalys. Canalys suggested that growth was driven by demand for primary cloud infrastructure services, such as on-demand computing and storage, across all customer segments and industries. However, the analyst firm predicted that future growth will be fuelled by customers using the artificial intelligence (AI) platforms cloud service providers are building to develop new applications, processes, services and user experiences. Canalys flagged AI offerings by AWS, Microsoft, Google and IBM – incidentally, the four largest cloud players in the market. “AI is still in an early stage of development and not delivering significant revenue yet, but it offers tremendous potential, with demand for AI-related workloads expected to fuel cloud services growth,” Canalys research analyst, Daniel Liu, said. Read more Can Microsoft lawyers defeat Putin’s most notorious spy-hackers? Is Google Glass really ready for the enterprise?